Rocket Bunny is one of the most desirable kits for the S13, we dive into the history of the Pandem line to find out if this is the right aero for your S13. What is a Rocket Bunny? Rocket Bunny is a line of aggressively styled aero products for popular JDM car platforms. These aero kits can be compromised of front fenders, rear fenders, sideskirts, ducktail spoiler, fender flares, overfenders, diffusers and canards. The man behind Rocket Bunny / Pandem aero line is Japanese entrepreneur Kei Miura. 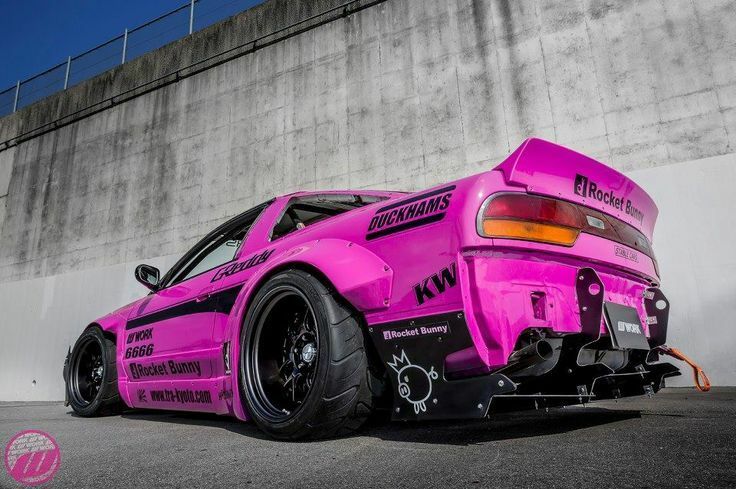 Rocket Bunny aero products – the brand name is aggressive and grabs your attention and once you take a look at their unique aero kits you will see that they have some extreme ideas to match, they are not just a slick brand name. The flares and spoilers that Rocket Bunny has to offer don’t seem to be targeted at just anybody who loves to go out to the local drift area and cut loose, probably not what you would be bolting on to that missile (drift car set for abuse or learning in that will probably get torn up). These are for someone who wants to turn heads, to grab attention in the pit area and a whole lot of air on the track, while allowing a nice bit of room for your wheels to dance from lock to lock as you slide through a corner. 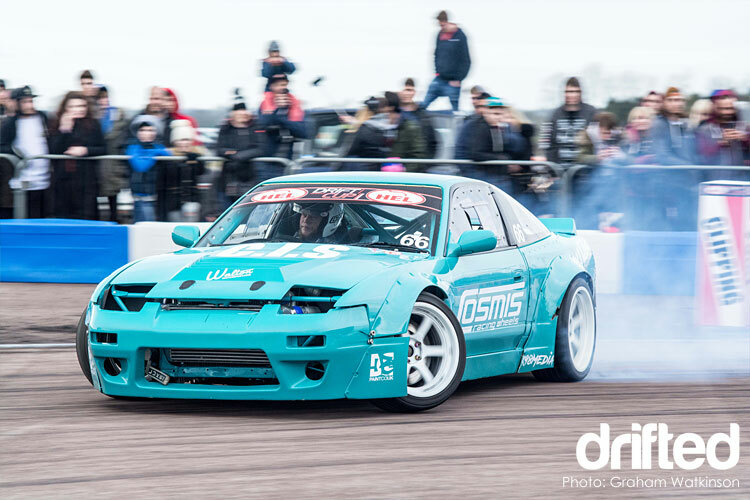 Just have a look at the image below of an S13 with a Rocket Bunny aero kit, it’s sure to pull admiring looks from people on the street, people who aren’t interested in drift or Japanese cars, will probably assume that you are the local drift king or some sort of racer. There is no doubt that these will take some work to fit with overfenders having to be cut in, it will not be as simple as opening the box and screwing these into existing body panels but, again, as you can see below the results can be, enough to turn even the toughest into a little anime girl jumping for excitement. How much does a rocket bunny kit cost? These kits are cool there is no doubt about that, but let’s talk about cost, will you be the coolest looking car that never leaves the workshop because you spent all your gas money on shiny new body panels. 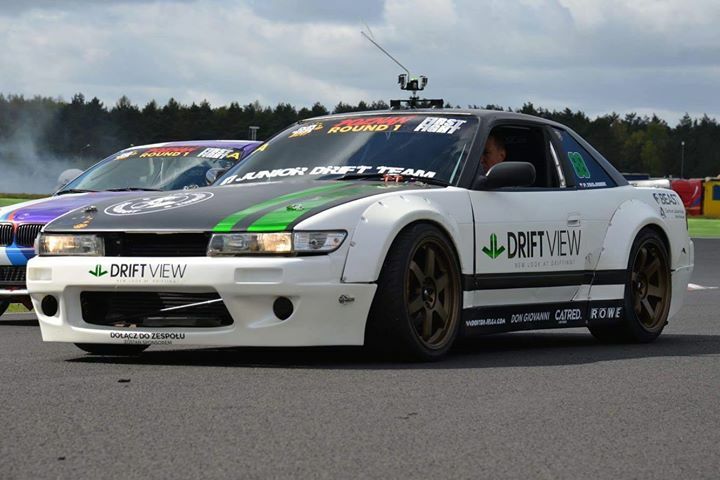 Looking at Enjuku Racing’s product lineup, a complete full aero kit for your S13 240sx will set you back $1,260. That includes a front bumper, rear bumper and side skirts. The Rocket Bunny aero kit for the S13 hatch or 180sx that contains front and rear bumpers and sideskirts will set you back $1,260. If you are after those iconic Rocket Bunny overfenders (or fender flares) for your S13 you will need to fork out $799. The classic Rocket Bunny trunk spoiler for your S13 hatch will set you back $272. Got an S13 240sx or Silvia and want the Rocket Bunny trunk spoiler? That will cost $272. In short, no, if you are looking to customise your ride, this is not the cheapest way to do it, but using these products is a great project, that provides an awesome bang for your buck with the money that you do spend. If you want to get the most out of your S-chassis then check out these excellent tuning guides written by drifted.com. 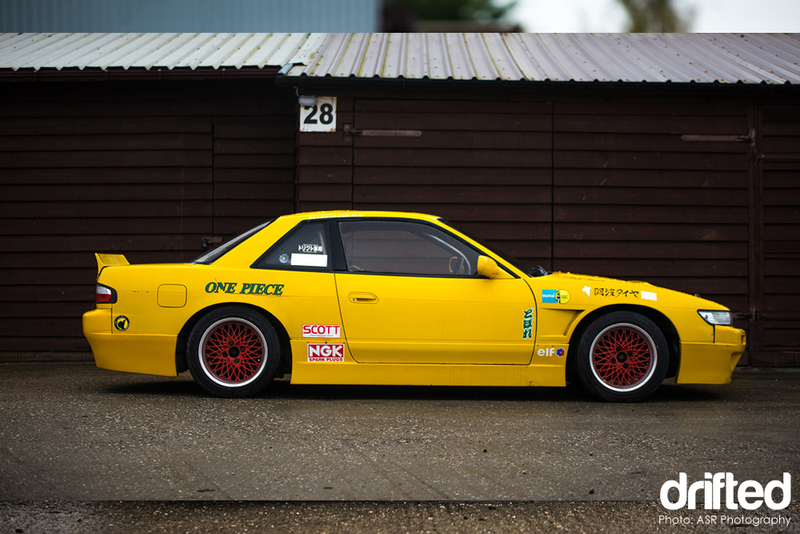 They cover the S13, S14 and all the major JDM platforms from coilovers to exhaust systems. They are no way near the most expensive on the market, so they are a reasonably cost-effective for the head-turning looks that you will get and the extra room to set your wide wheels with those nice stretch tires just hanging on to the slick new set of rims that you know you will get to match your new rocket bunny kit. Let’s be honest if you are going to buy one of these kits it probably isn’t going to be the only thing you are going to buy. If you get a slick aero kit, you are going to make your car wider, if you are going to make your car wider you will need to make sure you have the wheels and tires to match. So just be aware if you are going to fit one of these widebody aero kits and you are looking for that nice flush or clean look, you will probably have to beef out to a 255 or 265 tyre especially on the wheel. Luckily for you these look great and are great on a show car, however, they may compromise if you do intend to take your car to the track and send it sliding into turns the wider tires to suit the aero kit will probably increase understeer especially if you don’t plan on making any upgrades on the performance side of things. So let’s talk aerodynamics for a second if you are looking at a Rocket Bunny kit because you want to have your car glued to the track for some form of track day racing or drags let’s be honest, these kits probably aren’t going to be the difference in being the first over the line. They do look extremely cool, so if you are fitting them to your road car and you plan to take it to the local track for some fun on a Saturday afternoon then hey why not? But if we are being honest these kits are mostly for aesthetic, which is something that they kill it with! The only real performance benefit I could think of when writing this article would be for straight out drift and that is that the wider fenders will allow you to be able to fit a wide angle steering kit so that you can that super wide lock for big entrances and exits to corners if you are looking to show off to some judges. Fitment can be tough depending on what sort of car person you are if you have done plenty of fibreglass work before and you are comfortable cutting into those factory fenders with a grinder or whatever else you can find a rocket bunny kit is how to add some serious curb appeal to your ride. If you are new to modifying your car or you just don’t want to stuff it up, but love the look and feel that you see from slick looking imports like the one below, never fear! It is something that your local customs, or body shop would be able to do for you, and let’s be honest it should be nice and easy for them. I mentioned earlier in this article that these probably shouldn’t be attempted to be fitted by newbies, and that still rings true, remember when you get these kits they don’t come with extra parts, for if you make a mistake. Don’t forget as well once those fenders are cut there is no going back, I am all for giving things a go, just don’t say I didn’t warn you! Flares are awesome, they look good, and they give you the room to do what you want when you are talking about wheels, tires and steering pitch. That isn’t all that you can do with Rocket Bunny kits, are usually exactly that, most of the stuff that you will see online in places like enjukuracing.com you will get a bumper, side skirts, front and rear over fender sets as well as a sweet little ducktail spoiler. There is a reason that these parts are sold as kits, they have been designed to look banging when they are all put together. If you don’t have the money to go out and buy a kit to fit out your whole car, you still have options. You can pick up a set of sideskirts and overfenders that will still fatten up your ride, in order to get some bigger wheels and give you that widebody look. However, if you don’t want to throw some wide wheels under your car you could pick your self up a Rocket Bunny bumper and pair it with a ducktail spoiler for a more slimline look. 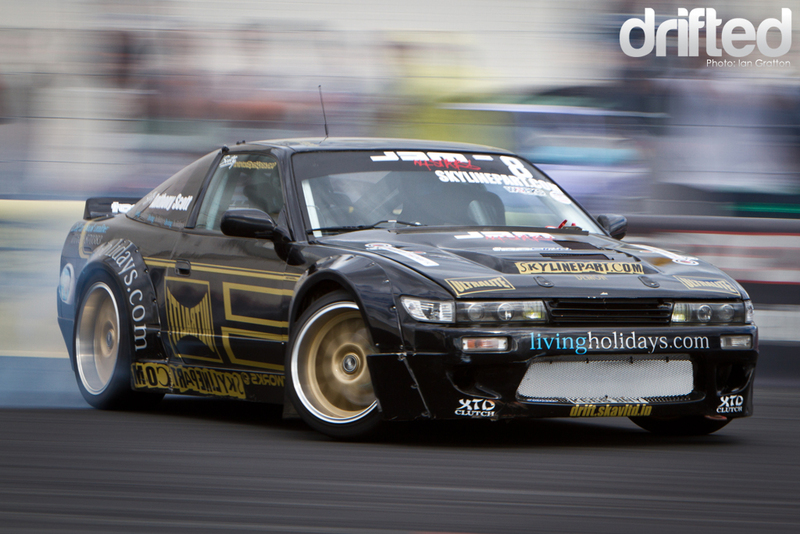 The S13 is one of the cars that these kits look great on, but it isn’t a speciality product just for the one vehicle. Rocket Bunny churn out a whole heap of different kits that can fit up nicely to a 180sx, a Scion FR-S as well as 350Z’s and many more. These Kits are all come with similar fitment tasks so be aware of that but you could slap a Rocket Bunny ducktail on the back of your 350Z like the picture below and as you can see it adds a sleek finish to an already nice looking car. So if you are not looking to take on a full kit as we spoke about before Rocket Bunny have standalone options that will just add something a little extra to your ride to make it unique without having to go all out and spend weeks in the shop. I spoke about fitment a little earlier in this article and I issued a warning that these kits might be a little tough for a beginner or first timer to fit up. Even a seasoned pro can come across a few pitfalls that you might not have come across if you haven’t had to cut into the metal work of the car. This is because once you have cut into metal work and exposed some form of bare metal to the outside world, and we all know that once the elements see any sort of bare metal the rust monster comes to town and that, is the biggest enemy of anyone who modifies cars. So be paint and rust aware remember to get that awesome looking aero kit you have just fitted into a paint booth for a coat of primer as soon as possible, or at a very minimum get a can of spray primer and make sure to seal up any entrances for the rust monsters. What are you to expect once you have this shiny new kit all fitted up, painted and ready to hit the street? Well we will get a couple of the minor downsides out of the way first: these kits will probably decrease your fuel efficiency due to the fact that they will catch a little more air than a stock body will, also you may notice some slight understeer increase due to fitting bigger wheels or wheel spacers, and you will have to cut into fenders to fit some of the overfender kits so it is not exactly an easy process. Right now that is enough will all that negativity, the awesome things about Rocket Bunny kits: Fit a full kit to an S13 and you are guaranteed to get head-turning looks, from the aggressive bumper to the ducktail wing you are sure to get the attention of the crowd at whatever event you are at, associate your ride with the rides of so many Formula D stars from Japan who have gone the way of the Rocket Bunny, these kits are worth the effort, so they are a little more work to fit up nothing good ever came easy huh? You will get the increased grip, look it’s not going to glue your car to the track like a Formula 1 front wing but you will get a little more downforce which could be the difference between a perfect drift entry and spinning onto the grass or into the concrete. These Rocket Bunny kits are great, they look awesome, the grab your attention straight away with their aggressive design, thanks to Kei Miura who works to combine the best new 3D drawing technology with his astonishing attention to detail, and long-standing knowledge of Japanese car culture to deliver these body kits to the people in a way that you can fit your self with a bit of knowledge or that can be fitted professionally for a reasonable price to provide you with a unique look that reaches to the highest peaks of the drifting mountains of Japan. So if you have an S13, 350Z, Scion, NSX, GTR or any other car that Kei Miura has taken the time to design one of these Rocket Bunny kits around, and you want to be the person that everyone stops at the car meet, drag strip or track day to ask how did you get your car to look that damn awesome. You should get to know the Rocket Bunny range a little more closely at enjukuracing.com.